Is Just Treating Your Symptoms Good Enough? | Johnson City, TN | Peeks Chiropractic, P.C. Is Just Treating Your Symptoms Good Enough? 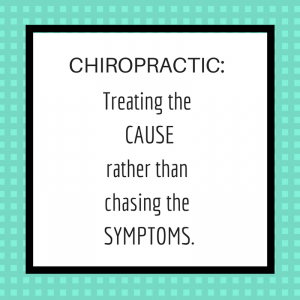 The beauty of Chiropractic care is that we are not suckered into treating the end result of the loss of normal body function—symptoms! Think about it…is there a time in your past when you didn’t have symptoms? It is that loss of function that eventually will manifest itself in the form of symptoms. Treat the symptoms>>>treat the end result. Restore lost body function (restore the brain and body connection in the spinal column)>>>the body has been returned to working normally like it was before the symptoms every showed up! If you are tired of treating symptoms and not the cause, call our practice today to schedule an appointment.